We are pleased to inform our readers that the Journal of Physical Science will be publishing a special issue (Vol. 28, Supp. 1), a post-conference publication in conjunction with the 4th Conference on Future Biorefineries 2016 held on 12–15 March 2016 in Langkawi, Malaysia. The conference gathered researchers whose works are focusing on the technology developments for utilisation and conversion of lignocellulosic biomass in the lignocellulosic biorefinery. The Vol. 28, Supp. 1 issue is guest edited by Dr. Low Siew Chun of School of Chemical Engineering, Universiti Sains Malaysia and Dr. Shuhaida Harun of Department of Chemical and Process Engineering, Universiti Kebangsaan Malaysia. It will feature 19 peer-reviewed articles contributed by a sum of 62 researchers and scholars across various institutions. The production of this special issue is in progress as of this writing, while the abstracts of the accepted articles are now accessible via this link. Penerbit Universiti Sains Malaysia as the publisher of Journal of Physical Science is excited to collaborate with the committee of the 4th Conference on Future Biorefineries 2016 and the Long Term Research Grant Scheme project groups on this publication. We look forward to reaching our readers again with the complete publication in due time. New year. New day. The Journal of Physical Science and the publisher, Penerbit Universiti Sains Malaysia (USM Press) would like to wish our readers many happy new year. May 2017 bring more prosperity to everyone. 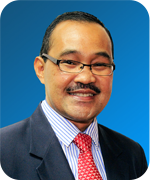 The year 2016 began with the appointment of new Editor-in-Chief, Prof. Dr. Abdul Latif Ahmad from School of Chemical Engineering, Universiti Sains Malaysia. A prolific researcher and academic, Prof. Dr. Abdul Latif is recipient of numerous awards and accolades, both locally and internationally. Among the many awards he has received thus far include being named as one of the recipients of The World’s Most Influential Scientific Minds in 2014, Merdeka Awards (2014), Korean’s World Inventor Award (2013 and 2014), and The Malaysia’s Rising Star 2015. Along with Prof. Dr. Abdul Latif, the journal has also been strengthened with the additions of new editorial board members. 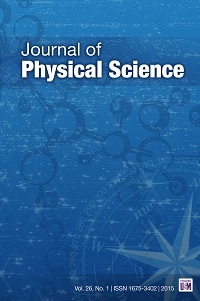 As part of the growth plan, beginning 2016, Journal of Physical Science also began publishing three issues per year, as opposed to two issues in the previous years. Altogether, the journal published a total of 28 articles in the year 2016. In 2016, Journal of Physical Science was announced as the recipient of the Ministry of Higher Education’s Current Research in Malaysia (CREAM) Awards. Introduced in 2015, CREAM Awards are given to identified scholarly journals published in the country showcasing promising growth, as part of the incentive to encourage continued excellence in research and publications. We thank our readers and reviewers for the continued support to the journal. Our hope is that 2017 will be the year Journal of Physical Science continues to flourish and achieve more big things, and our readers remain actively engaged with us. We are pleased to inform our readers that the latest issue of Journal of Physical Science, Vol. 27, No. 3, the third and final issue of 2016, is now published and available for download. Note that beginning 2016, Journal of Physical Science publishes three issues per year, as opposed to two issue in the previous years. On behalf of Editor-in-Chief and the publisher, Penerbit Universiti Sains Malaysia (USM Press), we congratulate all authors on their contribution. 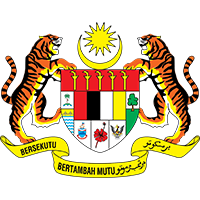 We are pleased to announce that the Journal of Physical Science has been selected as recipient for Ministry of Higher Education’s Current Research in Malaysia (CREAM) Awards. 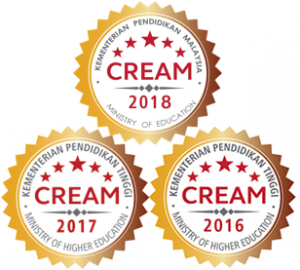 CREAM is an incentive by Malaysia’s Ministry of Higher Education to encourage continued excellence in research and publications, and maintaining visibility in major databases, given to a selected number of academic journals in the country. Penerbit Universiti Sains Malaysia (USM Press) and the editorial team are honoured with this recognition. This is certainly a new milestone which will further spur the team’s commitment in creating impact in scholarly publications.